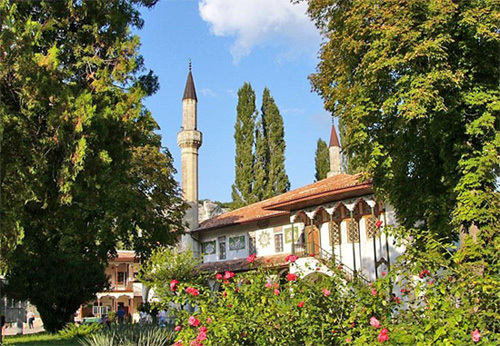 Going to the next special and very beautiful place in Crimea, I would like to start by telling you guys a bit about Bakhchisaray. The city was the old capital of Crimea and Crimean Tatars. And since I am Crimean Tatar (just google it), of course I feel like history of my nation is very close to me and particularly interesting. Although my great grandparents were from Yalta, I have this weird and strong deja vu about certain things and places in Bakhchisaray. So If you are looking for beautiful architecture, history and unique nature, definitely visit this lovely city. 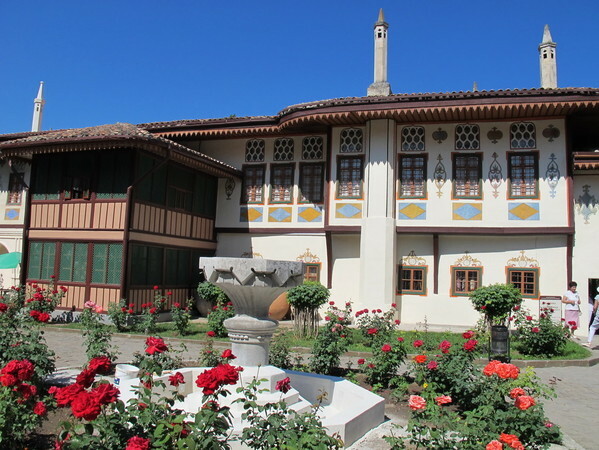 The Crimean Khan’s palace is now a museam of history and arts of Crimean Tatars. 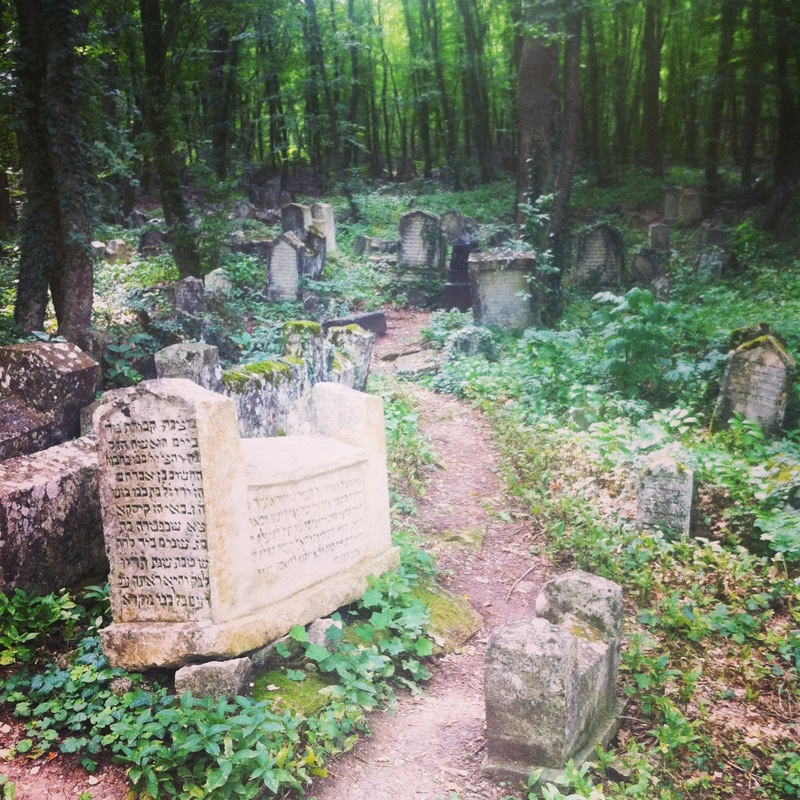 The most beautiful cemetery I have ever seen in my entire life is an ancient Karaite cemetery Balta Tiymez ( from Crimean Tatar ‘axe will not touch’). Karaites are amongst the native population of Crimea, their language is very similar to Crimean Tatar but the writing is Hebrew. 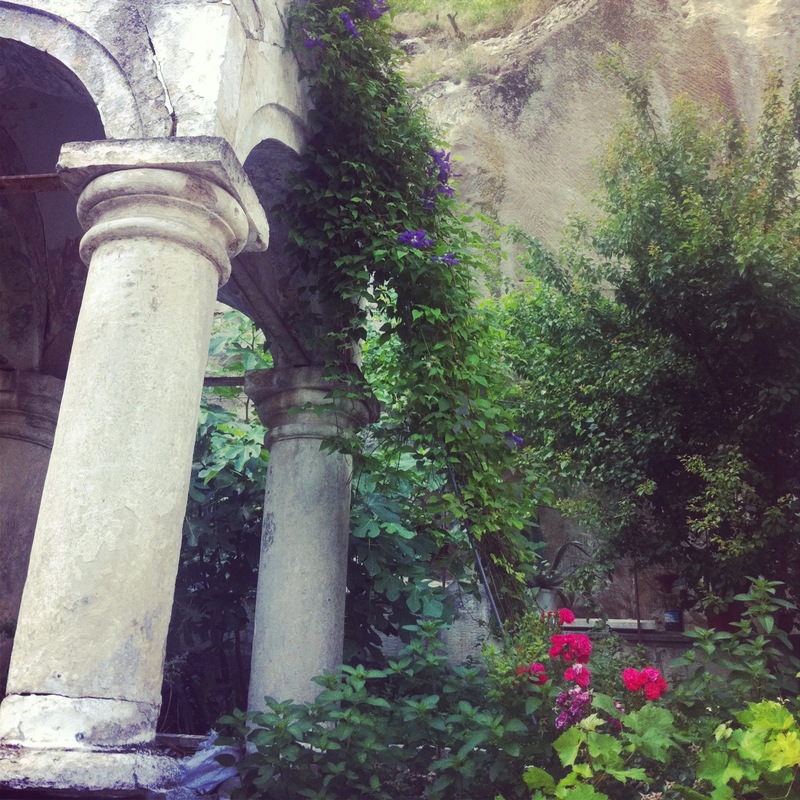 Balta Tiymez has burials that date back to the 1st cent. BC, but you can also find more contemporary ones – from the 20th century. Overall this cemetery has approximately 10000 gravestones! Unfortunately, the cemetery was violated during the USSR period. After the Russian Revolution everything went from head to toes. So Balta Tiymez, like many other ancient graveyards suffered – brutal Bolsheviks would dig out the bodies looking for valuable jewellery. But unlike Karaite cemeteries many Crimean Tatar graveyards were not only violated, but distroyed. The reason – after Crimean Tatar deportation to remote discricts of Uzbekistan and Syberia in 1944, USSR authorities tried to completely erase their presence n Crimea. Even the names of cities, villages, etc. were changed. What I adore about Balta Tiymez is that unexpectadly it’s not very popular with tourists and since it’s located in the middle of the forest, the silence is magnificent there. I mean I personally feel very calm have an emotional boost when I am there because you just start thinking about life, so many people lying there, everyone had his own stories and secrets. A very sacramental place. Luckily it can be easily found. Looking through the pictures of it on the Internet, I realised that yes the ancient Karaite cemetery looks beautiful in the sunshine, but when it’s misty and rainy, it’s absolutely majestic. So if you are kinda of person, who likes silence, nature and reflection, you won’t regret visitting Balta Tiymez! After walking alot that day I needed some coffee So my aunt and I found a cute little coffee shop, which I fell in love with instantly! 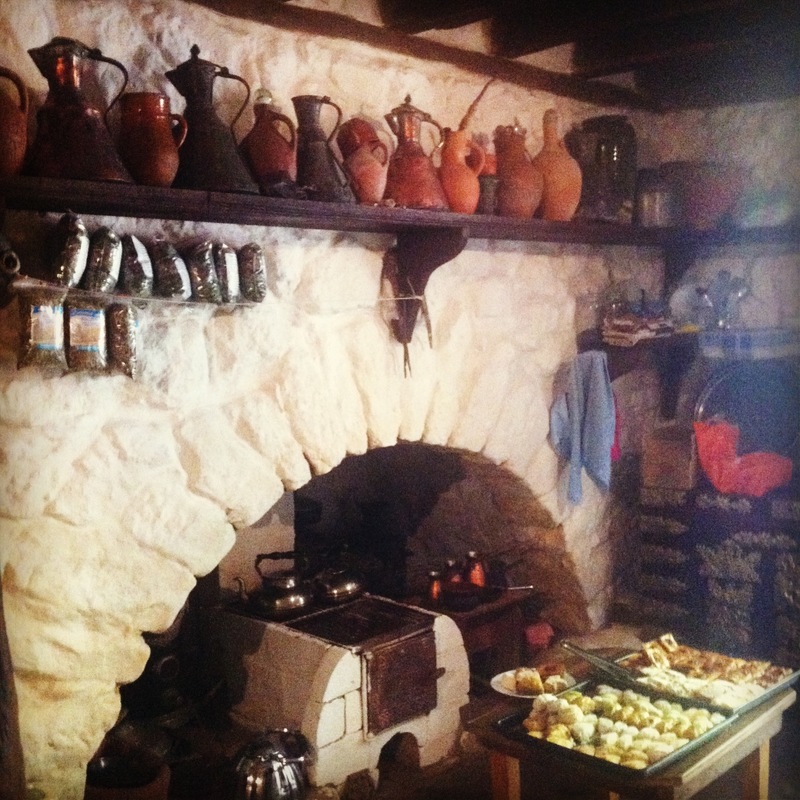 It looks just like an old Crimean Tatar home. It’s very traditional, everything there was very old and absolutely charming. I felt like I was travelling in a time machine! This is another thing that I love about Bakhchisaray – all the restaurants and cafes, markets, streets, houses, museums have preserved this old Crimean Tatar vibe.